Not gonna lie... I'm enjoying some good ol' comfort food tonight. And no, I don't consider kale chips comfort food!! We're talking about a crunchy peanut butter and honey sandwich with a small glass of milk. So delicious. And totally hits the spot when I'm craving something sweet, salty, and like a bear-hug-on-a-plate. It's been a rough couple of days. The short of it is...we're still moving in 14 days. Everything is in boxes, thanks to my generous mom...but the mountain dream home is no longer. It's a long story that I'm not quite ready to go into, with the full gamut of emotions - sadness, anger, disappointment, bewilderment, thankfulness, and a huge sigh of relief all squished into one. For now, I'll focus on what I know best: creating yummy healthy recipes that are low in sugar. They're light, airy, and flavorful. 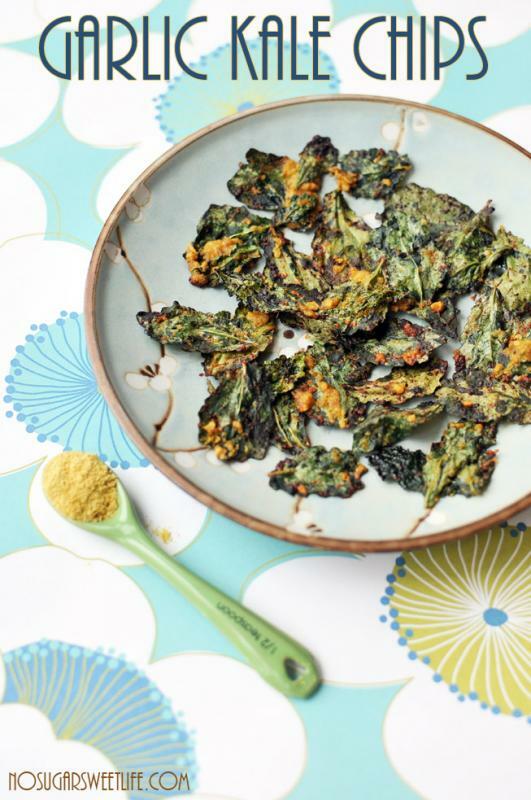 What a fun way to get your greens!! 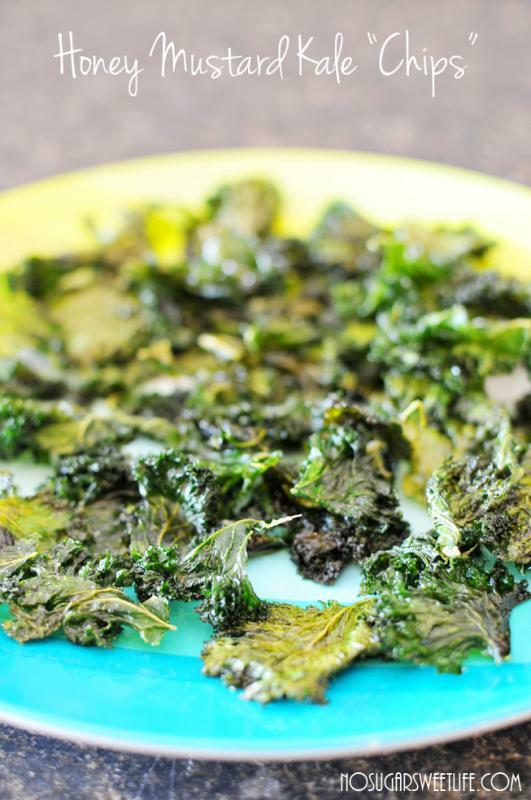 Or you could try my Honey Mustard Kale Chips, if you're in the mood for something sweeter. 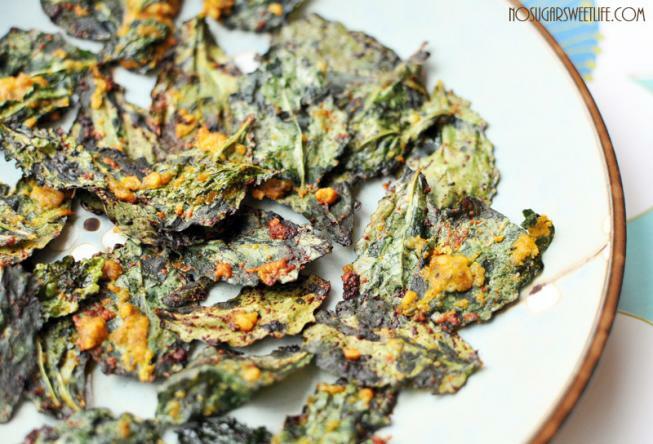 Garlic Kale Chips: Eat your greens! Take out of oven and let cool / crispify for an additional 10 minutes.